Historic Route 66 is the most famous road in America, thanks to Nat King Cole. The road, which stretches from Chicago to LA in a broad, meandering curve, has been called America’s “Mother Road.” Excepting its endpoints and St. Louis, it hardly runs through America’s most iconic cities — Amarillo, Albuquerque, Tulsa, Joplin, Flagstaff — but it somehow manages to capture a broad cultural cross-section of the country and thus is almost synonymous with the concept of “Americana.” It’s like the asphalt version of a Bruce Springsteen song. Route 66 is no longer part of the US highway system, so many parts of it have fallen into disrepair or are basically just dirt roads — the parts of it that weren’t absorbed into other highways or routes aren’t even on the maps anymore. So if you’re planning on traveling it, you need to find a special Route 66 map, and you need to be willing to do some off-roading. 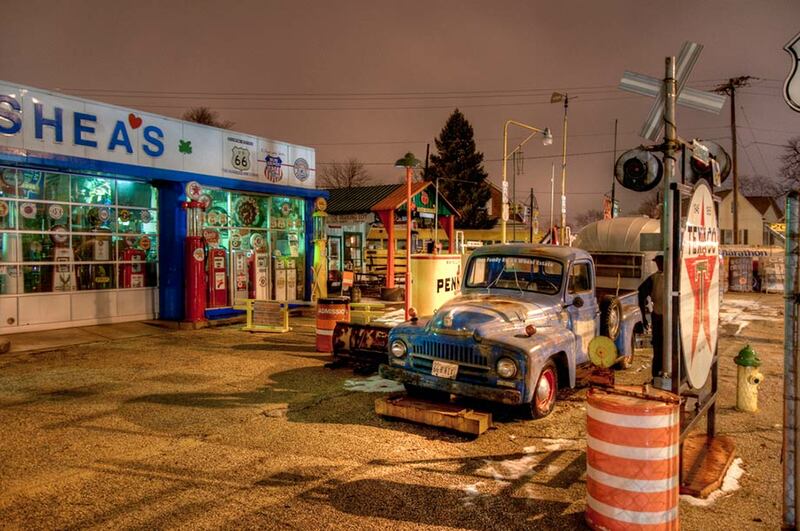 Huge portions of Route 66 are still there, though, and they’re peppered with kitschy, quirky Americana all the way through. Here are some of the quintessentially American sites you’ll see if you ever plan to motor west on the highway that’s the best. Probably the most quirky and weird example of Americana kitsch on Route 66 is the Cadillac Ranch. 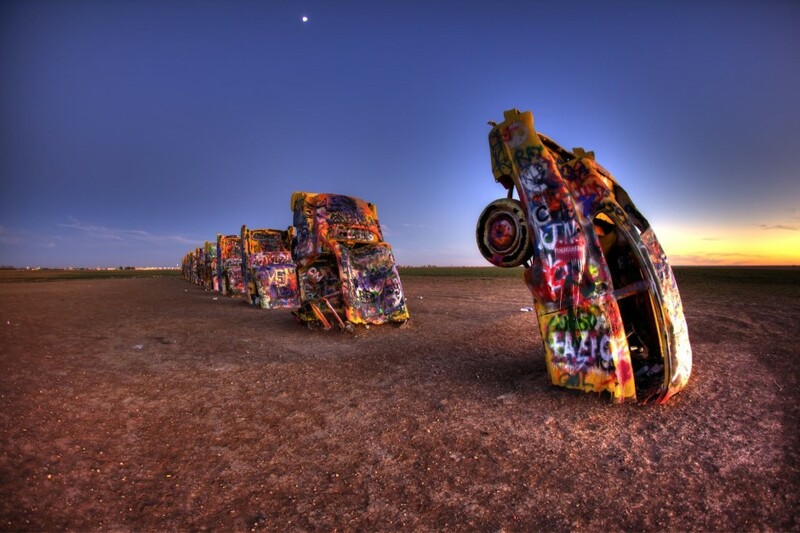 It’s basically just a bunch of old junker Cadillac cars planted into the ground in Amarillo, Texas. Visitors are encouraged to use the cars as a graffiti canvas. Of course, most of the allure of traveling Route 66 isn’t in the kitsch or the memorabilia of 1950s and '60s America—it’s the Western American landscape. 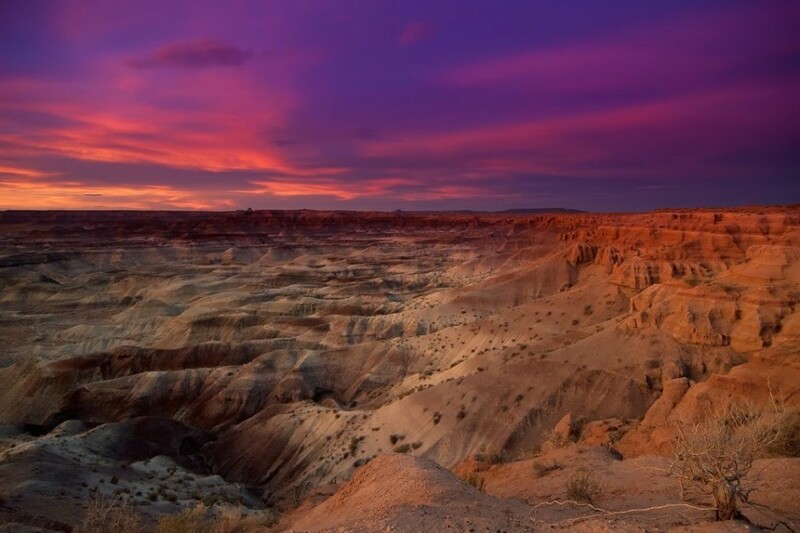 Probably the most beautiful part of the road is in Arizona, where it passes near the Painted Desert, the Petrified Forest, and the Grand Canyon. 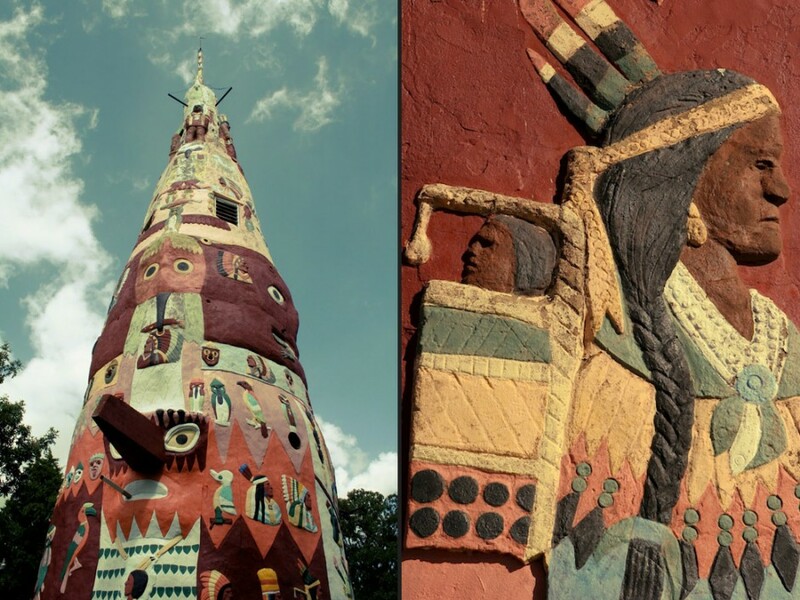 About three miles off from Route 66 is Ed Galloway’s Totem Pole Park. Ed was a retired teacher who moved just outside of Foyil, Oklahoma, to open the Totem Pole Park (because, why not?). It holds the record for the world’s largest concrete totem pole. We can and will make a museum out of anything we want to in America. Try us. This is in Springfield, Illinois. 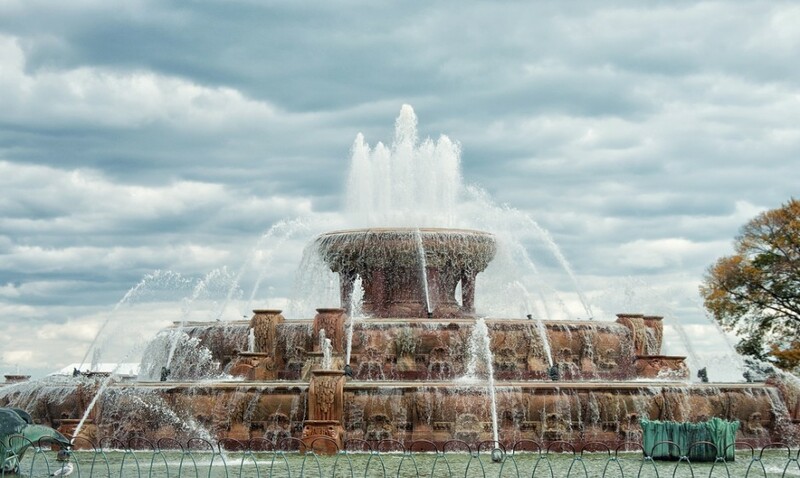 Route 66 officially starts at the edge of Grant Park, Chicago, the quintessentially American city that sits on Lake Michigan. Grant Park is the site of both Lollapalooza and Barack Obama’s 2008 election acceptance speech. 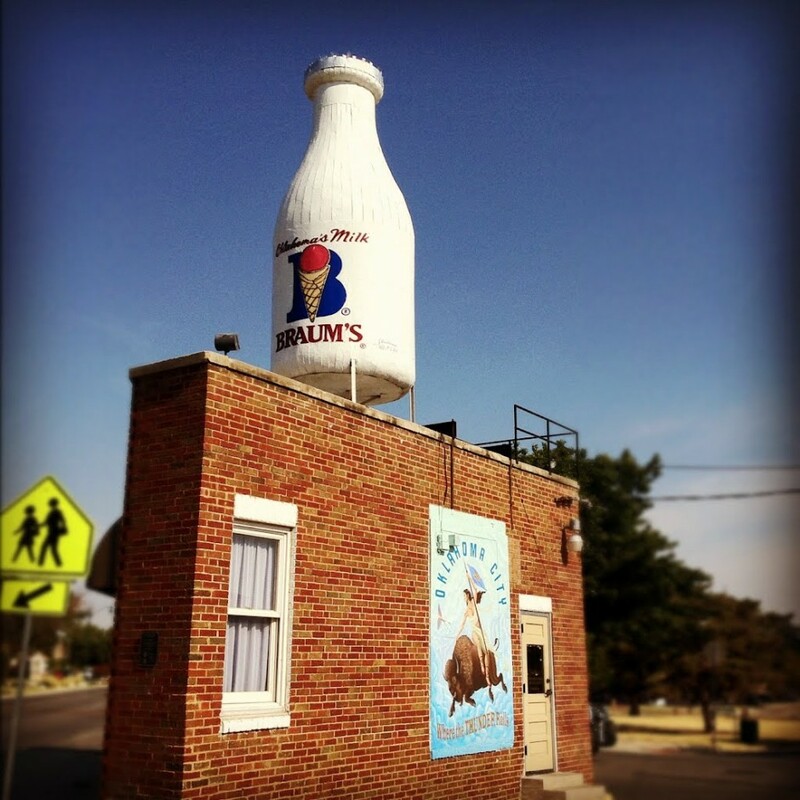 Continuing the Route 66 tradition of making things big that absolutely don’t need to be big, the Milk Bottle Grocery is pretty self-explanatory. But recently, the former grocery has been replaced with a Vietnamese sandwich shop, which—depending on who you ask—may make the Oklahoma City icon even more American. Let’s be honest. Shoe trees could happen anywhere in the world. But there are 76 shoe trees in America. What you call a weird quirk, we call a tradition worth preserving. 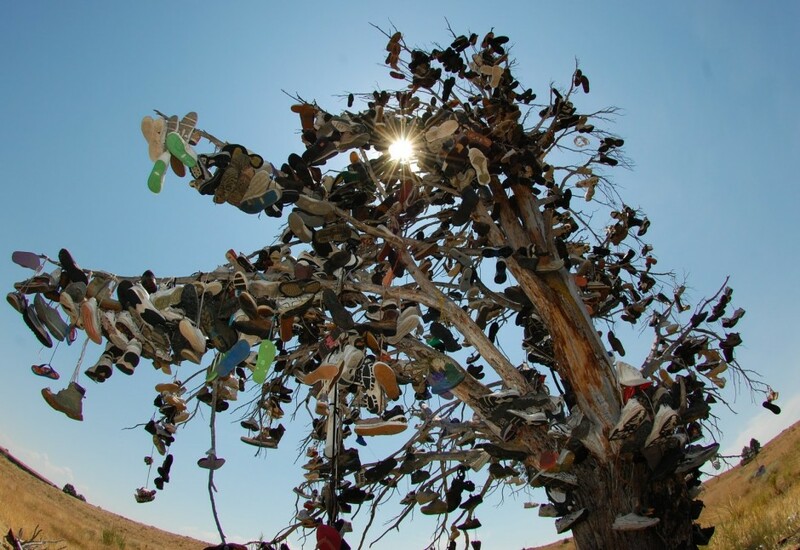 The famous Route 66 shoe tree in Amboy, California, sadly collapsed in 2010. Probably because of the shoes. 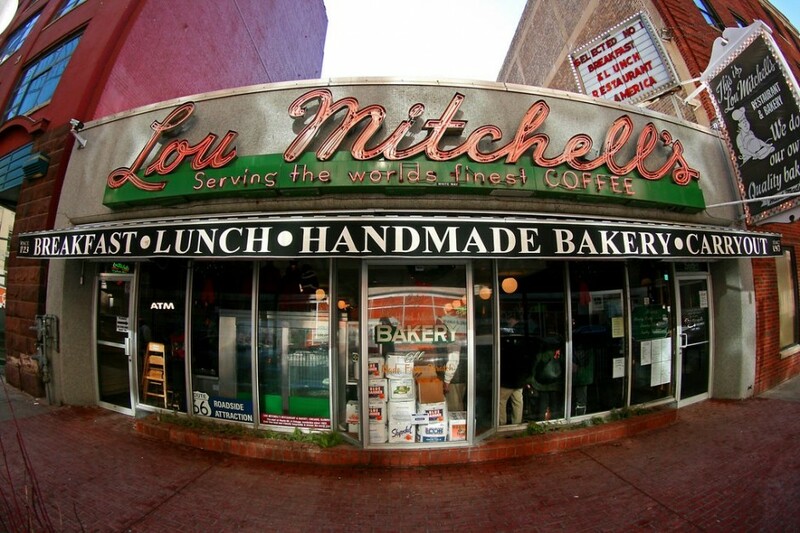 Called "the First Stop on the Mother Road,” Lou Mitchell’s is a restaurant right by Chicago’s Union Station. It gets the only-in-America designation because it hands out donut holes and Milk Duds to people waiting in line—because why should all the caloric intake happen during the meal? Also, if there’s another country where every single coffee shop serves “the World’s Best Coffee,” I don’t know what it is. 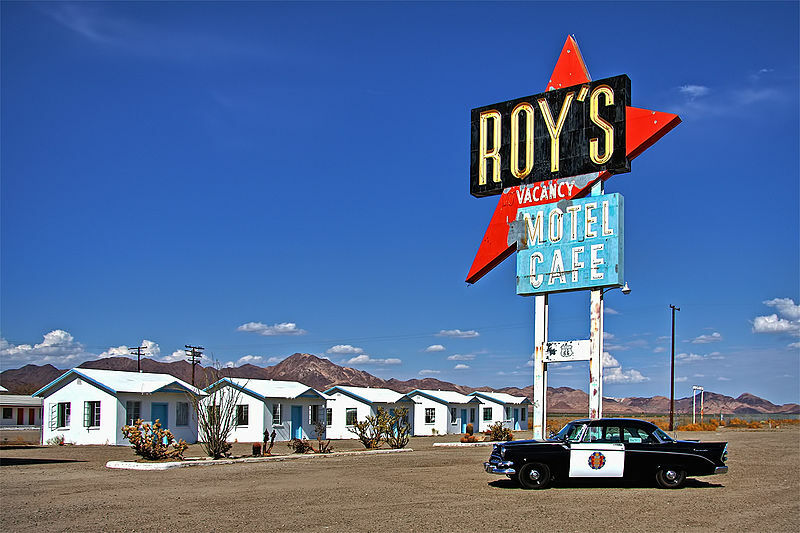 Roy’s is a now-defunct Route 66 landmark in the town of Amboy and is owned by a Route 66 preservationist named Albert Okura who plans to reopen it. It's known for its “Googie” architecture—a type of '50s futuristic style most famous in the “Welcome to Fabulous Las Vegas” sign. 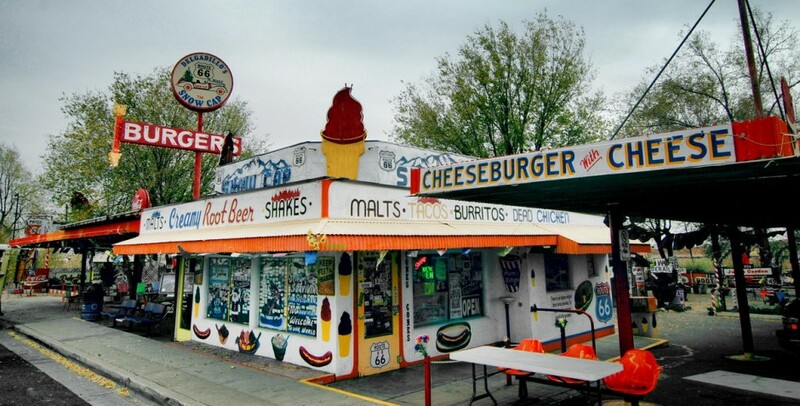 Route 66 is inevitably peppered with kitschy American diners, but Delgadillo’s Snow Cap Drive-in in Seligman, Arizona, might be the best solely on the basis of the “cheeseburgers with cheese” and “dead chicken” menu offerings. 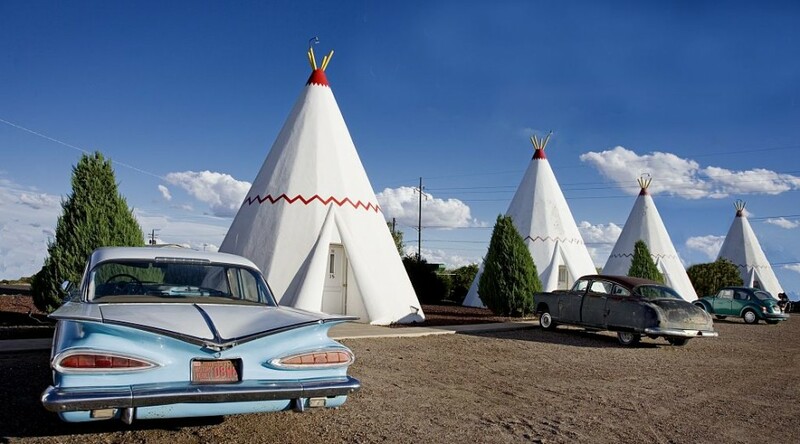 On Route 66 in Holbrook, Arizona, not too far from the Grand Canyon, is one of two remaining Wigwam Motels on the Mother Road. This was a hotel chain set up in the '30s, and there are now only three remaining, two of which are on Route 66 (the other is in Rialto, CA). Incidentally, the rooms are shaped like tipis, not wigwams. 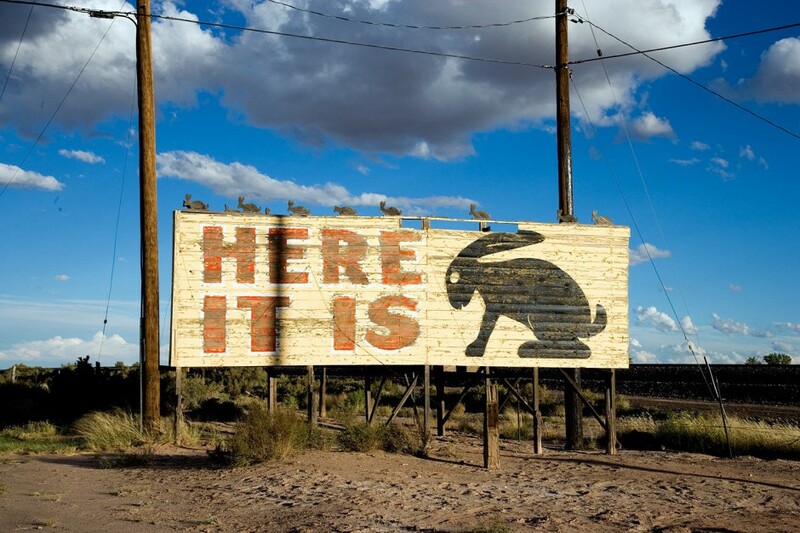 The Jack Rabbit Trading Post is a relatively nondescript convenience store near Joseph City, Arizona. It’s famous, though, because of its frequent billboards along the route, finishing with a big one saying “HERE IT IS.” Anyone who's traveled long enough on American roads knows that the put-all-our-money-into-billboards advertising strategy has not died for some companies. It’s incredible what can become a Route 66 landmark. 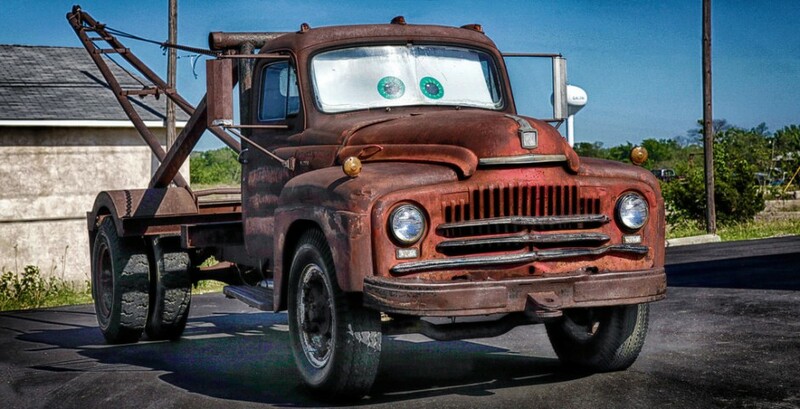 The road was the inspiration for the Pixar movie Cars, and the inspiration for Larry the Cable Guy’s character in that movie was Tow Tater, a 1951 International Boom tow truck that sits outside the Kan-O-Tex Service Station in Galena, Kansas. 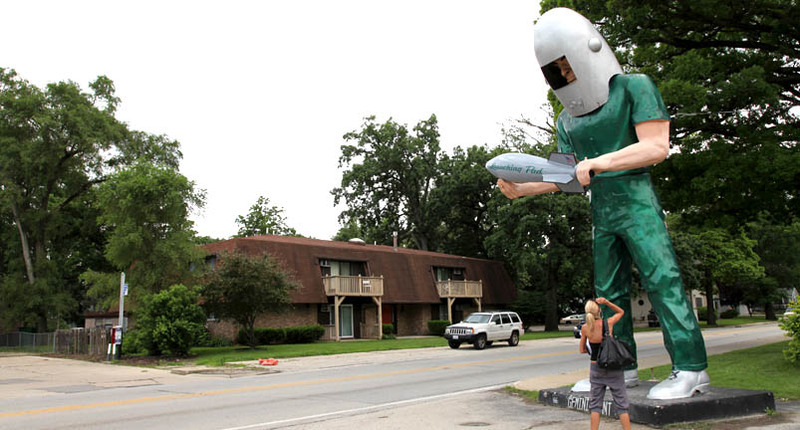 The Gemini Giant is what’s known as a “Muffler Man”—a bizarre quirk of American advertising that consisted of building giant fiberglass models to draw attention to roadside shops. The Gemini Giant is named after the Gemini space program and is advertising for the Launchpad Diner in Wilmington, Illinois. Yes, that helmet on his head is supposed to be a space helmet, and yes, the item in his hands is a rocket, not a bomb. There are a number of Muffler Men along Route 66. 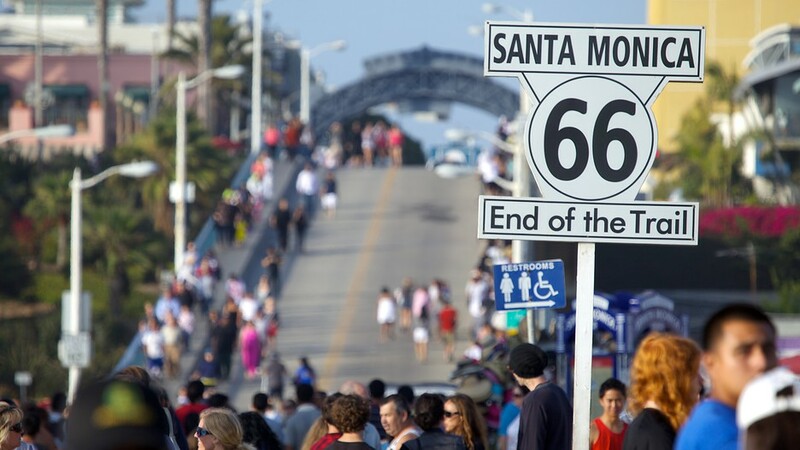 Route 66 ends with the Santa Monica Pier, a classic American boardwalk along the Pacific Ocean.